A lot of different books cross my desk, especially as I work on creating an early elementary reading schedule for U.S. History. When I first started to look into Beautiful Feet’s “Early American History For Primary Grades“ literature guide for grades K-3, I was intrigued. Once I sat down and actually read through it, though, I knew I wouldn’t be using it or incorporating the lessons into my history schedule. If you’ve read this blog for any amount of time at all, you know I’m a Jesus-follower; and if you’re searching for reviews on Beautiful Feet curriculum, you likely know it’s purported to be a Christian curriculum. I wouldn’t say it represents a Christian worldview, though — certainly not my worldview. But before I get into the implications of how the Beautiful Feet guide teaches morality, let’s address two of the books included in the primary literature list, “The Courage of Sarah Noble” and “The Matchlock Gun“. In “The Courage of Sarah Noble“, Sarah’s courage is praised, but just what is it that Sarah is facing with such bravery? “Indians [who] will eat you.” Sarah is afraid of things in the dark, because they might be Indians. She freezes “still as a rabbit in danger” when Indian children approach. When she finally musters up the much-applauded courage to interact, she can’t be bothered with “the long, long names of the children, so she called the boy Small John and the girl Mary.” To learn more upsetting details, please do read this review of “The Courage of Sarah Noble“. There are billions of books in the world, and ones like this don’t belong anywhere near my bookshelf. No. This book has no place on my bookshelf. Additionally disheartening here is the fact that Beautiful Feet is not the only publisher to include these two books on their recommended reading lists. But let’s at least take a look at Beautiful Feet’s “Early American History For Primary Grades” study guide itself. The guide was updated and revised in 2014, so it’s more modern in appearance than previous editions. The 37-page softcover book now covers additional material such as the Westward Expansion, and has full-color images and web links (although, I counted less than ten links in the course of over one hundred lessons). The content itself was less practical than I was hoping for — comprehension questions are given, but no answers are provided. Lesson prompts are vague, at times not much more than “Introduce Columbus” and “Discuss the value of conscience”. And there’s a lot more written busywork than I expected in a literature-based curriculum designed for kindergarten through second grade; students are instructed to copy entire dictionary definitions into a notebook. I could be persuaded to overlook some impracticalities, if it were not for my deeper concerns about morality-first instruction. Throughout the guide, the child is asked to interpret every historical figure by measuring the person against a list of character traits, and then make a determination of the person’s virtue. Nearly every one of the 106 lessons instructs the child to extrapolate the good character traits from a biographical segment of a person’s life, and then make an effort to apply these same character traits to his or her own life. This might seem innocent enough at the outset, but little mention is made of the heart itself, or of the transforming power of the gospel (which transforms from the inside out, not the outside in), or of what it means to actually follow Jesus. Perhaps this is because each lesson simply encourages the student to follow a list of moral character traits, not Jesus Christ himself. The hope, it seems, is that through emulating morality from the outside, one might become pure on the inside. This isn’t a problem exclusive to Beautiful Feet guides alone; there is a tremendous amount of curricula and instructional material framed this way. But there are problems with this approach. When a child is repeatedly, lesson after lesson and year after year, asked to give examples of how a revered historical figure stacks up against a list of Christian virtues, several things are bound to happen. First, this approach ignores the basic fact that every single person who ever lived was inherently complex. So by reducing complex individuals to one-dimensional figures, heroes inevitably become white-washed, because the focus is always placed on their abundant virtues. The child forms a worldview in which heroes have a lengthy list of abundant positive character traits, and “the bad guys” have very few positive traits. Life, of course, is not this binary. Going into life’s tricky situations believing you will easily be able to spot good vs. evil in either-or terms is not even safe! Teaching that people are good because they exhibit outward traits teaches nothing of the heart (although it does teach how to act “perfectly Christian” on the outside). Another thing is bound to happen, too, when a child is asked to emulate the outward qualities of heroes who have almost exclusively positive character traits. When the child first encounters a sense of failure in his or her private life, the child is very likely to see even a minor struggle as a massive moral failure. After all, the child has never known any “good person of Christian virtue” to have struggles or moral failings — so the child concludes that he/she must not be good, either. When discernment between good and evil is determined by actions and accomplished by checklist, one too many moral failings on the checklist will automatically shift a person over into the “bad guy” category. And if “goodness and badness” are assessed based on a self-imposed list, what room is there for grace? We don’t need to keep self-assessing God’s love for us. We don’t need to keep wondering what God thinks of us. He already demonstrated that. His bloodshed and resurrection settled that question once and for all. When Jesus died on the cross, He said, “It is finished.” He was the sacrifice, the Lamb of great price, and we do not need to struggle daily to apply virtues in order to guarantee God’s favor. That’s not the gospel! And it’s not what I want to teach my daughter. there’ll be a drop of grace. and all the good we dream of. It’s about mercy, always. It’s about grace, always. It’s about God’s endless love, always. Mercy, grace, and love can’t be quantified. They can’t be put on a checklist, and applied to life. Morality doesn’t set anyone free. Perfection doesn’t set anyone free. Good character doesn’t set anyone free. Only Jesus — the face of love — can do that. When you’re presenting the world for the first time to five-, six-, or seven-year-olds (the Beautiful Feet guide is intended for grades K-3), you have a serious responsibility. This responsibility is not just to shelter their tender hearts from the violent darkness all around us, but to show them the world and equip them with courage and with faith. I want to teach my daughter that the most courageous people in history were not those with the highest stack of character traits, but those who believed God could overcome darkness. Morality does not overcome darkness. Virtue does not overcome darkness. Only God can do that. And we have to be careful not to oversimplify life to the point that we end up teaching false doctrine. This is good on so many levels. Even Sunday school materials often stress being “good girls and boys” instead of looking to Jesus for forgiveness and mercy and allowing the Holy Spirit to work in our lives. Yes, I was just listening to a podcast today from the author of Beautiful Feet books. The idea was emphasized that good literature will produce good character. I kept thinking….”you guys are making a god (little g) out of good books.” I am very fond of good books but no one and nothing can produce a heart change in my children except Christ. What does “good character” (virtues) do for my children if they aren’t trusting in Christ? It worries me because I fear our culture can’t see the difference. Good action does not equal good person. And Lou is SO right. My husband has been a children’s pastor. He was deeply saddened not only to see that the major producers of Children’s curriculum promoted a man focused theology (be good, do good) but that other christian leaders and pastors didn’t see it as a problem. :( Children can understand GREAT things of God if we would give the the opportunity to. Liz, wow, thank you for this incredibly eloquent response. Your insight is right on. Here’s a brief description: “Critical Thinking in United States History uses fascinating original source documents and discussion-based critical thinking methods to help students evaluate conflicting perspectives of historical events. This process stimulates students’ interest in history, improves their historical knowledge, and develops their analytical skills for assessment tests. In the early grades we spent a lot of time and energy discussing WHY the same event was related SO differently through various accounts. Additionally we discussed how a person’s choices reflected their thoughts and beliefs and their preparedness for dealing with opportunities or circumstances in which they found themselves. I think that we’ll all agree that the way most American’s view the world and our history is not as elementary as it once was. (The smaller the world becomes, the broader our minds are stretched.) But, some of the stories still reflect the way that we once looked at events or people groups. While we’d call these thoughts and belief faulty (and they ARE), they once were predominant and relevant to the reasons why people were motivated to do particular things. I think that this is ALSO a very important aspect of teaching history. We also spent a LOT of time discussing the elements you mentioned so well regarding our Hearts, how our actions show the focus of our hearts, and how it’s important to be in a personal relationship with Jesus so that our hearts are more apt to reflect Him through our actions. I really think that the extraordinary results that we realized through our homeschooling experience were mostly the result of taking advantage of teachable moments: choosing a less rushed and more simple lifestyle for the whole family (meant buying into the conviction that more isn’t always better) which provided lots of opportunities for shared experiences; using current events and modern examples, both personal, interpersonal and culturally in discussing complex aspects which motivate people to behave in the ways we do—whether good OR bad. Because there certainly IS a difference between head-knowledge and heart-knowledge. So many times decisions are based on fear instead of any kind of understanding of truth. So, that’s my comment. But, before I go I have to say, I can’t help but to wonder if in the years to come our grandchildren won’t look back upon this age and shake their heads at the choices we’ve made. Jenelle, thanks so much for taking the time to leave such a thoughtful comment! You’re absolutely correct about analytical and critical thinking skills, discernment, and problem-solving. I love that you bring up “discussing WHY the same event was related SO differently through various accounts”. This is crucial, and it’s a great skill to apply throughout life. Wow- I don’t even know what to think about BFB after reading this! I was completely sold on using this for my 1st grader this fall. So do have any suggestions of a book based history program that is already planned out for this age group? This totally makes me sad. Sonlight is literature-based, but they don’t do American history until their “D” package. First grade is world history. Actually, both the books you mentioned are used by Sonlight, too. At least they used to. I got them years ago through Sonlight. You could probably adapt BFB to meet your needs, but that often takes so much more time than most of us have! She also comes to this conclusion which she states as fact rather than as her opinion: Perhaps this is because each lesson simply encourages the student to follow a list of moral character traits, not Jesus Christ himself. The hope, it seems, is that through emulating morality from the outside, one might become pure on the inside. And in my opinion by her logic then Sonlight falls into the same trap. Just a thought. Her article isn’t the Gospel either! Take it with a grain of salt! I agree. Definitely sjw driven. I think you just back up the moral teaching with Jesus helps us when we fail and it’s about love. I have some native American ancestry and when I see how poorly they can be portrayed in some books, I point out the biased to my kids. Some books get it right like “Wagon Wheels.” You can’t rely on curriculum to teach everything. You have to incorporate your views and critically examine things with your child. She says she doesn’t want to shelter her child from the big bad world but that’s exactly what she does by sheltering them from the views of others from this literature. I would rather see a review based on the quality of the curriculum and how it works to use it. Not somebody ranting because their feelings got hurt. Thanks for the taking the time to read through what I’ve written, and share your thoughts as well. I do agree with you wholeheartedly when you say “You can’t rely on curriculum to teach everything”. That’s completely true! However, standing up against the grip of legalism — and fighting for grace, not the law — is different than “sheltering them from the views of others”. We read a wide variety of books in our home, and definitely don’t agree with all of them. But teaching redemption and salvation through Jesus, is different than teaching you can attain goodness through imitating good character traits and habits — and the latter is what this curriculum emphasizes. It’s hard, because a lot of the excellent lit-based companies don’t do American history until a little later. I’m currently working on developing an early-American reading list for early elementary grades, which will include titles with more diverse perspectives. I am excited about it! I found your blog after searching for comments about BF on the Sonlight FB page. We used Bookshark last year and loved it, but I was looking into BF to be able to combine some of my younger kids. I looked at the BF guide online and wasn’t thrilled with all the morality references either, also feeling like it makes people seem one dimensional. I am also disappointed in the passages you noted in the recommended books. I’ll read the books for myself to see if it gets better, but even if it does, I am worried at the damage those words would do to my young children’s persepectives. For those looking for a literature based early American history, Bookshark has one in Level 3 but I’m afraid to say they list the two books you referenced. Thank you for sharing your thoughts on BF!! Cathy, you’d be hard-pressed to find a literature-based American History list or curriculum which doesn’t include “The Courage of Sarah Noble“ or “The Matchlock Gun”! For some reason, it’s an accepted part of our culture to read these books under the guise of them being “classics”, but I just won’t. Bookshark 3 is probably a great choice, actually, if you can just leave out those two books. I love and use Sonlight, and Sonlight D has a very similar reading list to Bookshark 3 (Sonlight and Bookshark are sister companies). Also, Build Your Library Grade 3 includes early American history. Gina I am so very glad to come across this post! I’m a newbie homeschooler looking for a history curriculum for my first grader. Do you have any suggestions? I use, and really love, Sonlight! No.My family has used Sonlight, but it is definitely not what we hoped because they allow for evolution biased books. That surprised me about Sonlight since they say they are Christian based. I am still ordering Beautiful Feet Books Early American History. Your disagreement with their approach seems emotion based. I think that everyone is able to tweak any curriculum. I see nothing wrong with teaching good character traits, and even though you say they focus on that I will have to disagree that people focus on that instead of Jesus. Sonlight doesn’t focus on Jesus either. LOL So, just live an ungodly life but claim grace covers it?!? Or wait, just hope the kids can figure out right and wrong on their own because, what? Because they go to church? haha Yep, sounds like typical take Christian teachings today. I must side with Al and others who are offering a voice of gracious dissent to this post. We were saved from our immorality so that we could be holy (morally complete) once again; to encourage a child to pursue truth, goodness, and beauty is, therefore, a part of building of a healthy and moral society. (consider the toxic alternative being foisted upon us in America today) We are not saved by our morality, yet our Spirit-empowered morality does reveal the genuineness of our salvation. Morality does reveal God; it does benefit a nation. That is the motive and perspective held by Rea Berg of BF Books. Please also consider that the Indians were intending to scalp this boy, his mother, and his baby sister. He was practicing self-defense, protecting them from these vicious attacks. His mother was hit in the back with a tomahawk, for goodness’ sake, and he stopped her from bleeding to death. It is not as if he were being applauded for randomly firing at innocent humans, unprovoked. This act, from a small boy, took courage in the face of a very fearful, dangerous, and near-death experience. Must we paint the author in such a distasteful light from our far-away, safe, comfortable American way of life where cruel attacks/scalpings will most likely never be a part of our every day concern??? Beautiful Feet believes our children can enter, through their imaginations, into situations like this and be encouraged – be given courage – to face whatever dangerous chapters may be written in their own life story someday, too. Finally, for Alice Dalgliesh to have Sarah Noble using familiar English nicknames for the Indian children since she could not wrap her English tongue around the unfamiliar, long Indian words. . . . it just seems that Mrs. Munsey is intentionally trying to find fault while applying a healthy dose of modernist, “Chronological Snobbery” (as CS Lewis called it) unfairly to another time and place in our country’s development. Of course, we can freely form our own opinions, I just hope to encourage others to please stop and really think before automatically ditching such a gold mine of children’s literary works that have stood the test of time for a reason – until our post-modern, politically-correct time, that is. I do recognize the historical context and danger inherent in the early American days in which the Matchlock Gun and Sarah Noble books were set. I also have not lived a life of utter American safety, having experienced what it’s like to pack a few suitcases and leave a country just before war broke out. I’m not averse to exposing children to difficult topics and dangerous settings in literature. In the arc of time, it is only recently that we have had the luxury to choose whether or not to expose our children to suffering, war, poverty, hunger, and more. Indeed, many throughout the world today do not have that choice. I agree that difficult books foster courage, gratitude, and more. But viewing literature in a larger context — as a whole, examining the narrative told to children over and over — I have noticed a tendency in books to continuously frame Native Americans / American Indians in a fearful light, as well a tendency to stick to talking about American Indians only in historical perilous times. Some children’s only exposure to Native American culture are the depictions in books like Sarah Noble and Matchlock Gun. Some children may not even realize Native Americans exist outside of Pilgrim or Wild West stories! And yet, American Indians are not a historical relic to be treated carelessly in literary accounts. My own husband and daughter are of Cherokee ancestry. I do not believe for one minute that it is post-modern to believe those “from every nation, from all tribes and peoples and languages” (Revelation 7:9) should be treated with respect. When story after story after story paints Native Americans in a negative light, how does that balance with the teaching that all human beings are created equal? In my attempt to present the world in a balanced, grace-fulled, Jesus-glorifying way, I choose books and curriculum after asking these 15 Questions to Ask about Everything from Race to Rules. My hope is that children will grow to see through the stereotypical depictions in literature and elsewhere as they gain a deeper understanding of and appreciation of the many distinct and unique Native American tribes across North America, both in days gone by and in our lives today. Having used many different curriculums over the years and the experience of grown homeschool children, I will second the issue of not allowing kids to experience contextual historical books. This is the incredible opportunity for teaching moments. We should never teach an unbalanced view of any people groups. We must also be careful not to pull singular events from a book out of context. 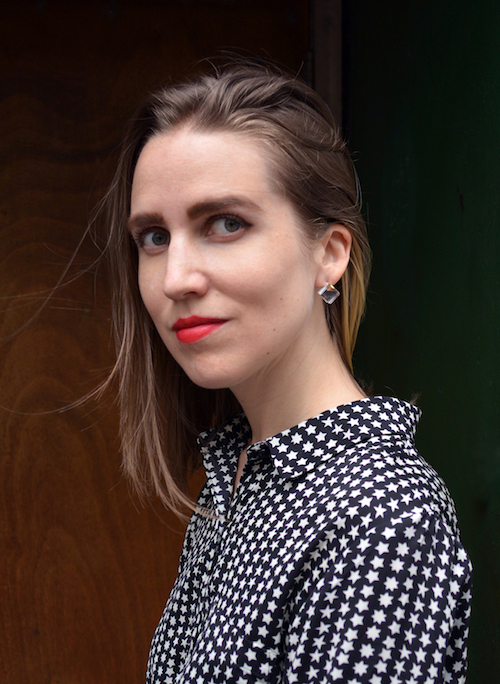 While Sarah Noble does begin interacting solely from a child’s inexperience and fear, she soon also learns the “Indians” she fears are more than that. Let’s also be careful not to hold a double standard. If it’s not okay to read books that negatively portray Native Americans, are we equally upset when Europeans or Americans are portrayed negatively out of context, and the numbers are growing? I think the real goal is to be intellectually honest about what our agendas and biases are so we can help our children view the world and it’s complexities with open eyes. As to the biblical issue, morale texts are usually trying to put concrete feet that young children can see and understand to abstract biblical concepts. What does steadfastness and goodness look like for a young child? You’ll notice that all of that type of literature falls away as you approach the ms/hs years and it shifts to straight evens with biblical study and interpretation. Something that young children are not yet ready for. There is a reason I have never used one singular curriculum and that is because they all have their strengths and weaknesses. I usually mix them to pull the best. Homeschooling and raising our kids is challenging work and relying on any curriculum to do it all correct will always lead to problems, Christian or otherwise. It’s why I’ve always taken the discussion approach. In fact, all of the curriculums you’ve listed suggest and provide questioning formats addressing many of these issues. Thank you so much for this review! I am starting homeschooling this fall and I had taken a look at Beautiful Feet since I was intrigued by the literature-based curriculum model. Just a few days ago though I started to feel uneasy when I saw an instagram post (by just a random user of Beautiful Feet books) about Benjamin Franklin. Then I saw that there were a lot of other book titles by BF about historical figures that made me think, “I wonder if these individuals’ flaws and shortcomings are mentioned in the books?” Despite finding nothing through a google search, by God’s grace I found this post because I follow you on Instagram and saw this when I came to your website. Yes. Thank you, so much, for writing this. This is just the confirmation I needed. I agree 100% with what you said. These individuals were so complex, just like you mentioned. Not to mention, they were sinners. When we highlight someone’s positive traits only, it causes a lot of trouble. Plus, it leaves no room for grace. Why would Jesus need to come and die for us, if we are in charge of our own moral compass? I would recommend Dr. Thomas Kidd on Christian perspectives on colonial history and prominent American figures. I aspire to provide the balanced perspective he does (he looks at the positives and negatives in the individual being discussed) when teaching my son this fall. I know my son is so young, but I couldn’t agree more with you that these are formative years and we do not need to start a foundation on morality-based instruction. Emily, thank you so much for your thoughtful comment. Character traits certainly are not the foundation of salvation by grace! Acts of outward morality are not the means through which we can procure our own salvation. And as far as the complexity of these individuals in our early history, I also believe it’s important to respect the trust our children have in us as we teach them about the world. As a child, I was was exposed to lots of literature extolling only the virtues of the founding fathers. These materials painted everyone as a Christian on the basis of cherry-picked morality. As I got older and learned the complex truth about these men and women in history, I felt betrayed and lied to. My early exposure to American history had whitewashed the explorers and founding fathers to the point of not just inaccuracy, but what actually crossed the line into falsehood. Certainly we are free to shield our very little ones from the harsher points of history, but this can be done in a way that we don’t swing the other way and portray historical figures as saints, either. I so appreciate hearing from you! Taking with a grain of salt. I need a moment to ponder all of the above. I have not read the books you speak of. And with all of the rampant virtue signaling these days. I will have to check into said books.. before I swallow hook line and sinker. There’s just so much that can easily be taken out of context. One could read your bio above.. could twist and misinterpret who you are and what your intentions truly are..
We used BF Early American History – Primary a few years ago with our first group and plan to use it this coming year again with our second group. Yes, the conscience poem is not biblical. I read it to the kids, pointed out the fallacy, and used the opportunity to explain the truth. Yes, I censored parts of the Matchlock Gun as I believed appropriate. Wow, I can’t even imagine requiring my small children to try to wrap their tongues around a long, foreign name for the sake of friendship (Courage of Sara Noble). We respectfully use Mr./Mrs. First Name often with those we know, and it is actually more endearing than processing the intricate pronunciation of some last names. At any rate, the reason we chose Beautiful Feet was it’s start with American History…beginning with what is close to home and expanding our study of history as we grow and expand our understanding of the world. Some literature-based curriculum begins chronologically with ancient times. That was not for us. Last week a friend (longtime Sonlight user) told me that she thought I went the better route with Beautiful Feet starting with American History first. 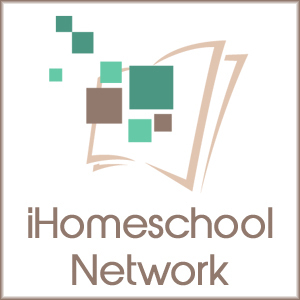 What a blessed choice of freedom for individual homeschooling families to prayerfully research and customize education. Please do not swallow any curriculum guide–hook, line and sinker and regurgitate that to your children. I plan to continue with Beautiful Feet, Early American Intermediate and Modern American & World. I fully expect that each literature package will have aspects that will be learning opportunities in the truth, as I would expect from using any literature package. Our family has daily conversations regarding the truth of salvation by grace. We are learning and reinforcing that our self-worth is found in Christ, not our performance. I consider Beautiful Feet a worthy program when submitted to wisdom and discretion. Incidentally, we’ve also used History of Science and Geography through Literature. These programs stuck to the topic at hand without spiritualizing the content. I hope some of this perspective was of help to those of you weighing your choices. I appreciate this review and agree with you in regards to using a curriculum guide as a place to begin. I was on the fence about this curriculum…everyone raves about but seeing The Courage of Sarah Noble on the booklist raised a major red flag. Thank you so much for sharing this review. I see in the comments that you recommend Sonlight. How do you feel about the high school cores 100 and above? Do you feel the bible is done well? Also, what do you think of My Father’s World? Bookshark is an excellent swap. The way BFB discusses historical characters is polarizing. My kids and I just read a book by Kenneth Davis … Shadow Liberty and another one is next to the bed. What a discussion with our kids. Why must George Washington be perfect, white, and sinless? Life and lives lived are too complex for that simplistic view. It’s okay if they are faulted. Only God alone is not! It is far too much to expect that of man, and I had the same trouble with Trail Guide. Thank you… cross this off of our wish list. Samantha, yes! When I read the Bible, I see stories of flawed humans, transformed by the grace of God. God made beauty from the ashes of their weakness, despite their human nature. Yet when I read so many Christian history books, I see stories of perfect humans, empowered by their own moral choices. Thanks for your thoughtful comment! I think it’s ok to read books we disagree with if presented at the right age and with the proper amount of discussion to follow. Biblically we know that we are to endure until the end and our actions still matter. Teaching morality is a good thing for young children who naturally look up to others as icons. But perhaps the problem is who we are looking to. As an Orthodox Christian I am glad we have the stories of martyrs and saints that show their inward actions and the areas they stumbled in and how God transformed them. Like you mentioned the cult of self is dangerous and it truly is not our self-worth or self-esteem that saves us. St Mary of Egypt comes to mind as she loved herself and being a harlot. Her view of herself was positive. It wasn’t until God transformed her that we see salvation and grace. Obviously these examples can be found in American history but as you mentioned it’s not just good deeds and happy thoughts to achieve that goal. Annemarie, thank you so much for your thoughtful comment. I love how you pointed out the importance of stories which “show inward actions and the areas they stumbled in and how God transformed them.” Weaknesses transformed through Jesus — that’s key! As someone who grew up in fundamentalist circles, so SO many of the stories of Christian heroes we heard were edited down so we only heard of their positive actions — and it’s the positive actions, not Jesus, kids were encouraged to emulate. When I read the Bible, I see stories of flawed people transformed by Jesus, not transformed by the cult of self, as you say. Thanks for the great discussion! I grew up in evangelical circles that bordered on fundamentalism. I was homeschooled, and our only curriculum choices in the 1980s were Abeka, Bob Jones, ACE, and Rod & Staff. I was so disheartened by the inaccuracies presented in Abeka history. It wasn’t until my own kids started using Sonlight that I realized how “white males used by God to rescue the savages” my American history had been. I don’t want that for my kids! However, my third child is NOT an auditory learner. 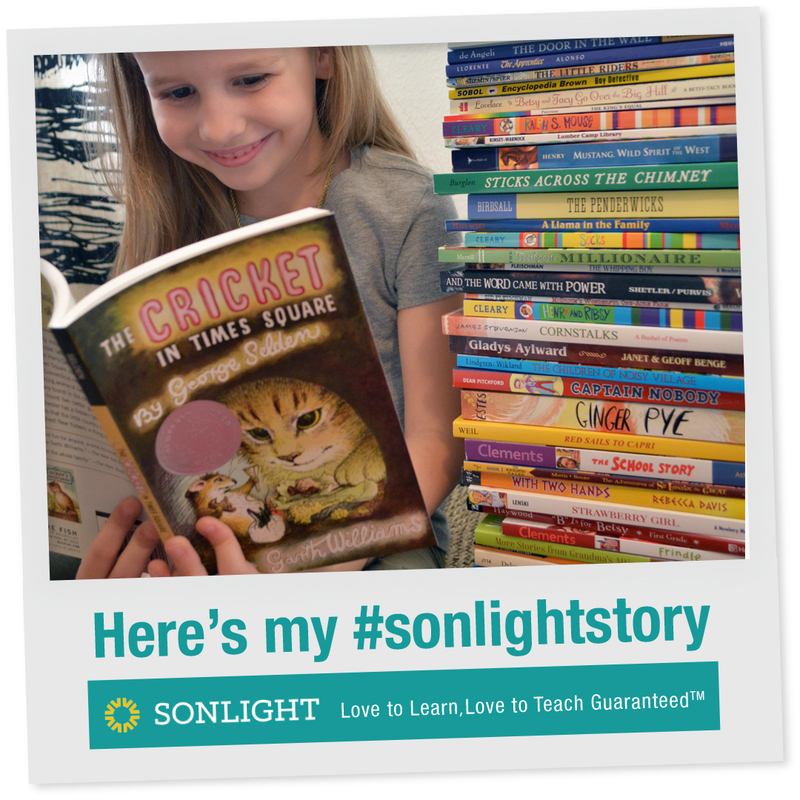 We have tried Sonlight three or four years in a row, and it just does not work for her. She has to see/read something herself in order to have a chance at comprehension. I’m racking my brain trying to find a history program for her that isn’t “God created America to save the world from sin” on one extreme or secular/humanist on the other–and that doesn’t involve heavy amounts of listening to read-alouds. I have not found a textbook-based program that I’m happy with, and the lit-based programs are just too much for her (often the reading level for most of the content is above her yet, because the books are meant to be read-alouds). We tried Children’s History of the World three years in a row (Sonlight Core B), but none of it registered with her. She’s a literal, concrete thinker, so abstract concepts are very difficult. And trying to wrap her head around people and places from thousands of years ago was way too difficult. This fall, I decided we’d do early American history. We’re doing History Pockets and she is reading diaries from the “My America” series. I haven’t had time to read them myself, so there are probably historical inaccuracies (or a secular point of view). All I really want to add to what we are doing is a reasonable spine that I can read a couple of pages from every day. Something eye-catching with illustrations. Something that’s accurate. Something that doesn’t focus so intently on “studies of character qualities” and the heavy “attributed morality” that is so commonplace in elementary history curricula from Christian publishers. Why is this so hard?! Megan, investigate the America’s Story history curriculum from Master Books — for 2nd Grade this year, I am utilizing volume 1 as a spine and expanding with living books, narration, and notebooking. This is such a helpful post. I wanted to be good and righteous and pleasing….but how? I tried and tried but I was still stuck being me. I knew all my AWANA verses, but I didn’t know the grace of God. I was hoping God was made up, because I knew I could never please him. No amount of will power or self-control was changing anything about me. Finally in high school (transferred to a Christian school) I began to get glimpses of truth. It’s God’s work from start to finish. 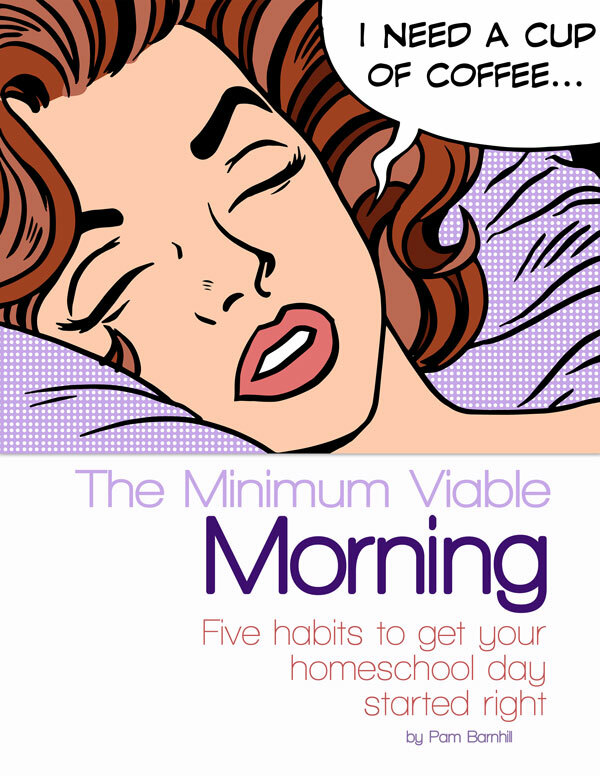 Now I’m homeschooling my five kids and the best part is when we slow down and chat. We’re all crooked deep down. We’re honest about it and don’t try to give pat answers. Motherhood has been taking my sanctification and putting it into a Vitamix and hitting high! I bought this exact BF guide a couple years ago but quit after the first book. Kimberly, I missed your comment until now! You exactly nailed it: if we hold on to a gospel which urges us to imitation perfection (or imitate Bible heroes), we will always come up short — and without any hope or answers to solve our incompleteness, other than “try harder!” By contrast, the gospel tells us we all fall short, but it’s okay, because JESUS’ blood covers it all and makes us whole. Jesus, not good character, redeems. Thank you so much for sharing your life story and experience with the morality-based gospel! I was totally taken off guard by this post. I dont’ love or hate BF, but I think this post was a bit harsh. I have used BF Early American History with my kids (several years ago) and plan to hang on to the material until my next batch of kids need it. I don’t have tons of time to reply (gotta grade some English homework) but I just have to throw out a quick dissent. Those passages quoted from Courage of Sarah Noble: What she feared was the UNKNOWN. It happened that in this case, the unknown included Indians. Did you read the book through? At the end she thinks of those same Indians as family. What a great lesson that we can overcome our fears and actually grow to love those who at first may seem off putting. We totally skipped the poem. It just didn’t seem relevant or necessary so we ignored it. But I always make a point of letting the curriculum serve ME rather than vice versa. I never feel the need to religiously or slavishly follow any curriculum. As the teacher in my home I can modify as needed without demonizing or abandoning any one curriculum. And as for learning from the traits of those who have walked this life before us: I’m all for it! I have never gotten the impression from ANY curriculum that we are meant to idolize or immortalize heroes of the past, but their examples of goodness, courage, and faith are there to light the path. That’s all. It’s really that simple. Thanks for taking the time to share with me! 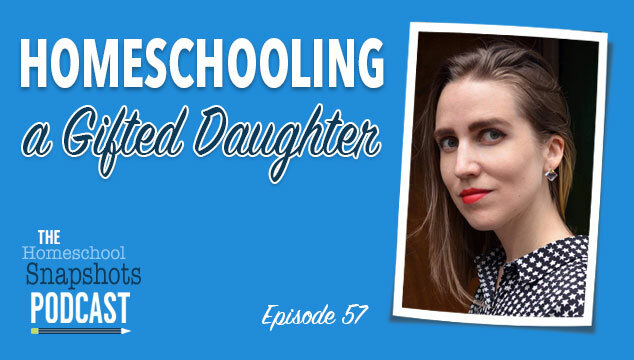 For context, I wrote this post from the perspective of having been homeschooled in a time when the majority of the homeschool culture was coming from a place of fundamental legalism. The threads running through this curriculum echo many of the same ideologies I observed in my formative years, and still see seeping in to the subculture today. I’m always encouraged to hear people who don’t feel the need to religiously serve curriculum, or idolize past heroes — but the sad truth is, I have absolutely seen this happen time and time again. The idea of using literature to teach children is beautiful and the good reviews for Beautiful feet books abound! We read “The Courage of Sarah Noble” this year and truly loved it. Sarah befriends the Indians in the end. You have to have an understanding that given that some of these books were written in a different time period- some of them may be a little less politically correct for our current culture but they are rich and there is much to be learned from them. What is your opinion on The Good and the Beautiful (history curriculum)?